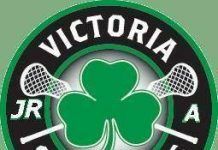 The Victoria Shamrocks and Keycorp Sports & Entertainment are proud to partner with Boxing BC on the Super Channel Championships 2019 – the premier boxing event for men and women in the elite, youth, and junior categories. After a much anticipated return to Western Canada in 2018, Boxing Canada is proud to announce that the biggest Olympic boxing competition in Canada, 2019 Super Channel Championships, will be hosted by Boxing BC. Following the success of the unification of the Elite, Youth, and Junior categories in 2016, this national sporting event will be held from April 23rd – 27th at the Bear Mountain Resort in the City of Langford. Previous articlePillar Traded To Giants For A Haul !